Being the father of a six year old girl who absolutely loves science, can get, well, a little messy. We’ve got science kits among science kits among even more science kits. We’ve ruined just about every decent shirt with volcano eruptions, mixing non dangerous chemicals, and making so many things that bubble up you’d think we owned a bubble factory. So when we found out about Piiig Labs and their science lab app for kids we thought it was the absolute perfect thing. Now our daughter can play well engineered, fun science games on her iPad Mini when she’s in the car, or hanging out without her lab partner (me). Piiig Labs offers virtual science experiments or games, spawning the solar system, whirlpools, venus flytraps and of course the volcano. The games are targeted to elementary schoolers and my second grader had no trouble navigating through the app. We got a chance to talk with Nancy Lu the founder of Piiig Inc about her amazing science games for kids. Check out the interview below. We are a digital lab for making child-friendly apps that combine education and game elements to create a learning experience that is both fun and engaging. 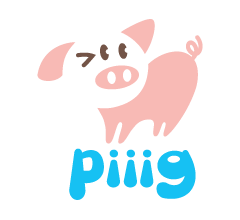 Piiig apps are gender neutral and simulate experiences that encourage experimentation in a safe environment, with no external advertising or in-app purchases. Who are your apps for? Teachers? Students? Our apps are made for primarily for kids in elementary school and we target parents and teachers who want to get their children interested in science and technology at an early age. We often have parents writing back to us telling us how much they appreciate the fact that their kids are doing experiments and learning science without even realizing it. What makes your apps different from other education apps? Most apps in the children’s app market follow the format of creating fictional worlds and characters but with the same gameplay throughout. We did the quite opposite in that we looked at what’s interesting in the real world and reverse engineered it to bring the experience to the iPad. Each science experiment inside the app is essentially a mini game with interactions completely different from the next. We feel that science in itself is very interesting and we designed the app experience to reflect how things work in reality but in a simple and playful way. Why did you get involved in the Ed-Tech space? I graduated with a finance degree and shortly after decided to pursue a career in entrepreneurship. I’ve worked with a few tech startups be-cause that’s where my passion is, but what got me into education is the realization that’s there is multiplier effect to teaching. In the past I’ve helped to coach some early stage startups and saw the impact it had on not only their business but also the people they touched. So it really got me thinking about how I can impact the next generation in a way that’s scalable. Our team is made up of people of diverse backgrounds from all over the world. We somehow all ended up in Shanghai and got together because of a common passion for good design and good products. We have a designer from Korea, a UX/Game designer from Germany, and two iOS programmers from the U.K. and Chile who have many years of experience with game apps. What is the next step for Piiig? We are in the process of building a new app that teaches about animal behavior and food chain. Our goal is to transform the way that science is introduced and taught to young children. There are a lot of great education apps out in the market but few focus on teaching science in a way that is both fun and easy to grasp for little kids. Too many children, particularly girls, get turned away from science by traditional textbook learning. We want to help change that.